Digital Agency News from dotJWT . JWT’s multi disciplinary digital unit, dotJWT has brought home a gold and two silvers from the W³ Awards, for its MyWheels and Avis campaigns. 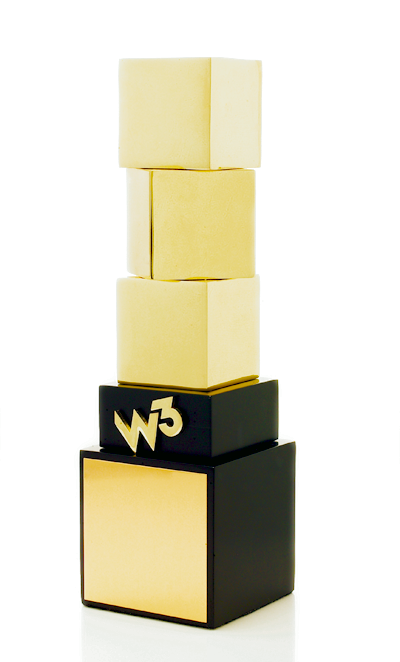 The W³ Awards honour creative excellence on the web from award winning sites to videos and marketing programmes. The awards are sanctioned and judged by the International Academy of the Visual Arts. JWT’s gold award honoured the agency’s integrated campaign for MyWheels, the newest online automotive brand in South Africa. 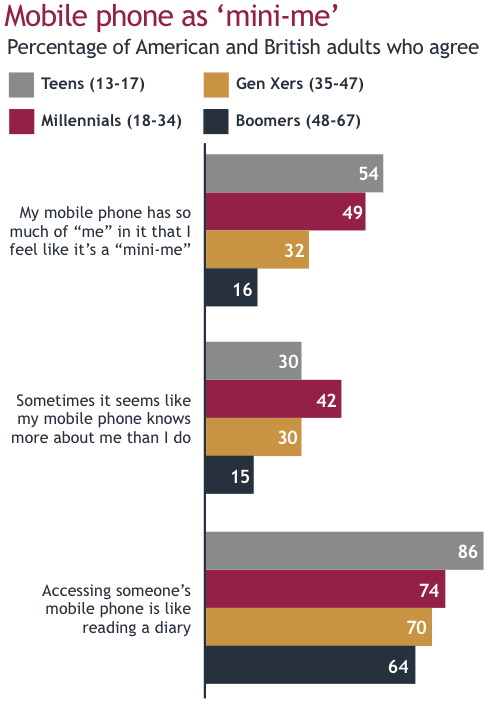 The multi-channel media campaign retained digital at the heart of the strategy, but outdoor and activation elements supported consumer engagement on the brand’s website and newly launched social properties. The two silver awards were presented for Avis campaigns. They recognised excellence in Social Media and, Reputation Management on Social Media. dotJWT’s solutions have assisted Avis in setting customer service standards and reputation management in the car hire industry, with 15 minute customer response times and reservations via Twitter. JWT is the world’s best-known marketing communications brand. Headquartered in New York, JWT is a true global network with more than 200 offices in over 90 countries, employing nearly 10,000 marketing professionals. JWT consistently ranks among the top agency networks in the world and continues a dominant presence in the industry by staying on the leading edge—from producing the first-ever TV commercial in 1939 to developing award-winning branded content today. JWT embraces a WORLDMADE philosophy, making things inspired by the world through blending technological innovation with international imagination. JWT has forged deep relationships with clients including Bayer, Diageo, Ford, HSBC, Johnson & Johnson, Kellogg’s, Kimberly-Clark, Macy’s, Mondelez, Nestlé, Nokia, Rolex, Royal Caribbean, Schick, Shell, Unilever, Vodafone, Vonage and many others. JWT’s parent company is WPP (NASDAQ: WPPGY). For more information, please visit www.jwt.com and follow us @JWT_Worldwide. Following the company’s Technology Top 100 (TT100) win last year for excellence in the management of technology, dotJWT has been confirmed as a preferred internship host partner for the TT100 / Department of Science and Technology 2013 Internship Programme. “dotJWT will be hosting two computer science graduates for the period of a year. They will be salaried and will follow a structured mentorship programme with our team and the TT100,” explains Yoav Tchelet dotJWT’s Executive Digital Director. TT100 was founded by Chairman of The DaVinci Institute, Prof Roy Marcus and is an academic body closely aligned with setting the requirements of winning Technology Top 100 companies. The organisation takes students who are currently undergoing their specialised technology and innovation courses, who are out of work, and place them in a 12-month internship programme at a Technology Top 100 company. The specialised development course is government led and funded. “JWT is committed to identifying and shaping local talent. This programme, combined with the support of government and the TT100 is invaluable both to the graduates and to dotJWT,” says, Modise Makhene JWT South Africa’s CEO. JWT’s multi-disciplinary digital unit, dotJWT has not only already met, but far exceeded its campaign objectives for the launch of mywheels as a new consumer brand. Mywheels.co.za – a brand of Barloworld Automotive & Logistics, a subsidiary of Barloworld, was redeveloped by JWT South Africa’s digital unit, dotJWT, to integrate all of the company’s car dealerships and drive an online virtual Dealership brand performance. “The campaign is still running, but the results in only 4 weeks have already superseded all our objectives and targets by 120%” says Chris Prinsloo, Chief Executive Digital Disposal Solutions. dotJWT created mywheels’ corporate identity and user interface by developing a website and integrated lead management system that ensured cross device functionality through responsive design. The team also developed an online media campaign to launch the brand with some above-the-line support, and came up with a high impact social activation utilising social media to launch the brand. 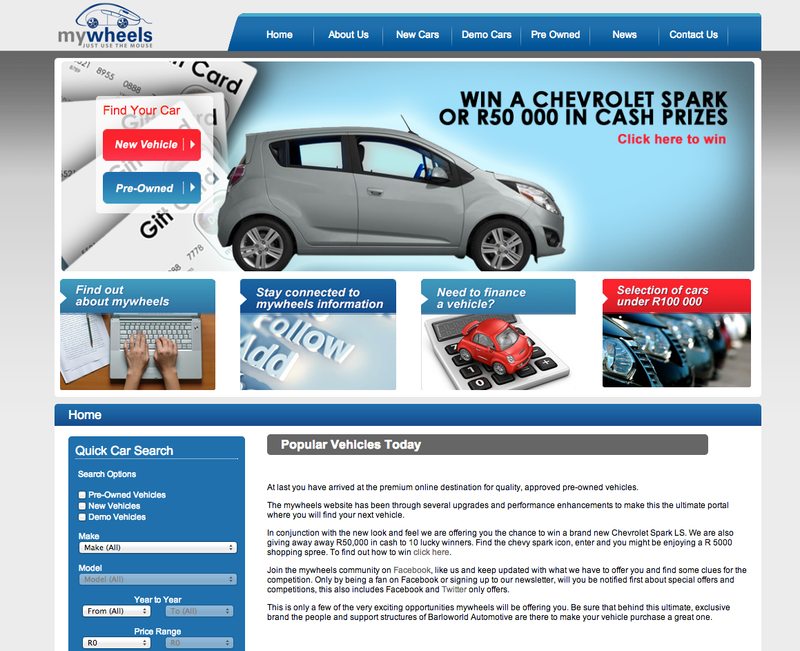 “The website, mywheels, was built not only to be scalable but to drive sales using a three-step conversion process. Users are only three steps away from buying a car on any page on the website,” explains dotJWT’s Executive Director, Yoav Tchelet. An integrated lead management system feeds the mywheels call centre and all leads are tracked, scored and monitored throughout the process. 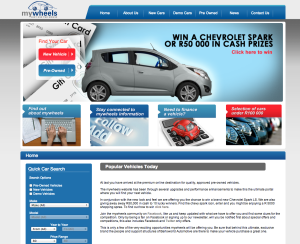 A Chevrolet Spark and R50, 000 to be won in cash are big prizes helping activate the campaign. Users are driven to different sections of the website to find the hidden icon and, once located, they can enter the competition to win. The campaign involves a number of media touch points including outdoor, activations and vehicle branding and has already amassed over 11,000 Facebook fans with multiple opportunities for social engagement with the brand. 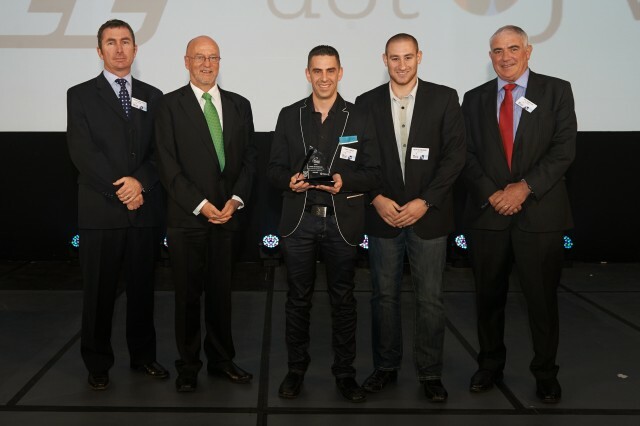 dotJWT recently won the Award for Excellent in the Management of Technology at the TT100, presented by Derek Hanekom, South Africa’s Minister of Science and Technology. JWT is the world’s best-known marketing communications brand. Headquartered in New York, JWT is a true global network with more than 200 offices in over 90 countries, employing nearly 10,000 marketing professionals. JWT consistently ranks among the top agency networks in the world and continues a dominant presence in the industry by staying on the leading edge—from producing the first-ever TV commercial in 1939 to developing award-winning branded content today. JWT embraces a WORLDMADE philosophy, making things inspired by the world through blending technological innovation with international imagination. JWT has forged deep relationships with clients including Bayer, Diageo, Ford, HSBC, Johnson & Johnson, Kellogg’s, Kimberly-Clark, Macy’s, Mondelez, Nestlé, Nokia, Rolex, Royal Caribbean, Schick, Shell, Unilever, Vodafone, Vonage and many others. JWT’s parent company is WPP (NASDAQ: WPPGY). For more information, please visit www.jwt.com and follow us @JWT_Worldwide.